best boat lines for our customers. If you are looking for a new pontoon we offer a variety of Avalon and Cypress Cay pontoon boats to choose from. If it's a new fishing rig you seek, you'll find our best deals deals on AlumaCraft. These manufacturers have proven great dependability and design along with outstanding warranty and craftsmanship. All of our brands are backed with extensive warranty and offer a complete boating experience for whatever your boating needs may be. 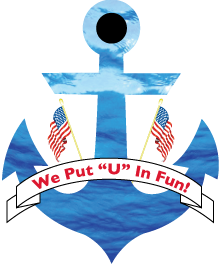 So stop in and see our new boat lines here at American Anchor and you will be able to browse to find your perfect boat without the high pressure sales of commissioned dealerships. Our family business atmosphere will keep you coming back.